This is an energy drink. Enjoy it hot old or cold. One portion (35 g) is 3,2 dl. For special evenings by the camp fire, drop of rum makes it even better. 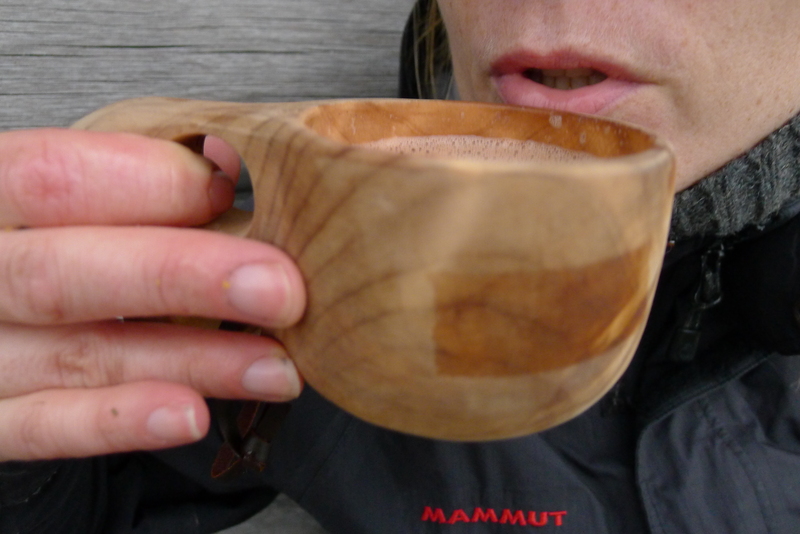 Estimate how much hot chocolate you wish to make during your hike. Make the mixture ready beforehand. (eg. 6-10 portions for two people for 8 days). When making the hot chocolate, put 4 table spoonfulls (á 15 ml) of the powder mix in a large mug. Mix it with a large spoonfull of clean cold water. Add hot water and stir well. This way it dissolves better. For a smaller 2-2,5dl portion you can use 3 table spoonfulls of the powder mix. This entry was posted in Drinks and tagged cocoa, dry milk, rum, soya flour, sugar. Bookmark the permalink.